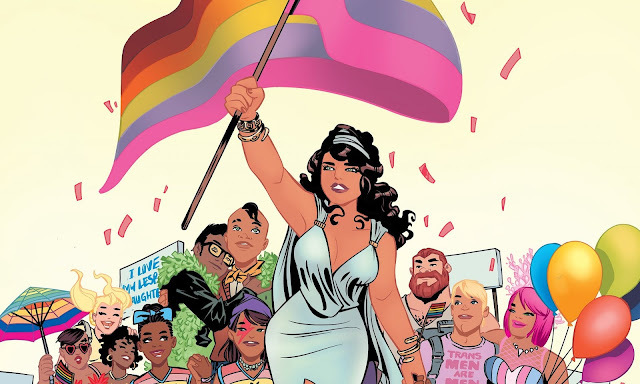 Love is Love is a new comic book anthology published jointly by DC and IDW, and put together by Marc Andreyko, and it's all about love in the name of the victims of the horrible shooting at the LGBT Orlando nightclub last year. All profits will go to the victims, survivors, and their families. The LA Times has written up a review of the wonderful Bright Lights, a documentary about the mother/daughter relationship between Debbie Reynolds and Carrie Fisher, the ups and downs of show business lives, and the effect of addiction. This one is definitely worth seeing, especially after we lost both of them within a day of each other. For today's musical hit, rock out to "Rockabye" by Clean Bandit and featuring Sean Paul and Anne-Marie. Not to get too personal, but what was/is your relationship with your mom? Do you have some great memories you want to share, or some beef to air out? — Critical Writ has a super-duper strict comment policy that specifies a single rule above all others: don't be salty at someone who has a different opinion than you.